Savvy Spending: +HOT+ FREE $20 Camping World Gift Card/coupon, now through 9/23! +HOT+ FREE $20 Camping World Gift Card/coupon, now through 9/23! 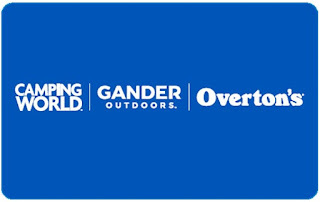 UPDATE: You can also use this FREE $20 Gander Outdoors Gift Card at Gander Outdoors! Wow! Camping World has some FREE gift card coupons on their website! Use these offers to score free or cheap camping accessories! 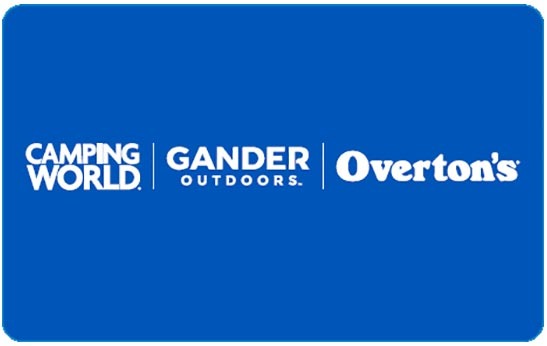 Each gift card is valid for a single in-store purchase of merchandise at Camping World only and has a limit of one per customer – excludes gift cards, hunting/fishing licenses and propane.